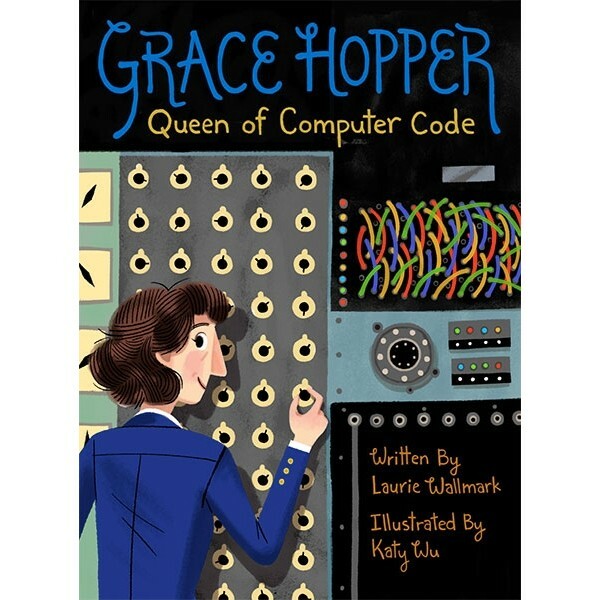 Who was Grace Hopper? A software tester, workplace jester, cherished mentor, ace inventor, avid reader, naval leader -- AND rule breaker, chance taker, and troublemaker. 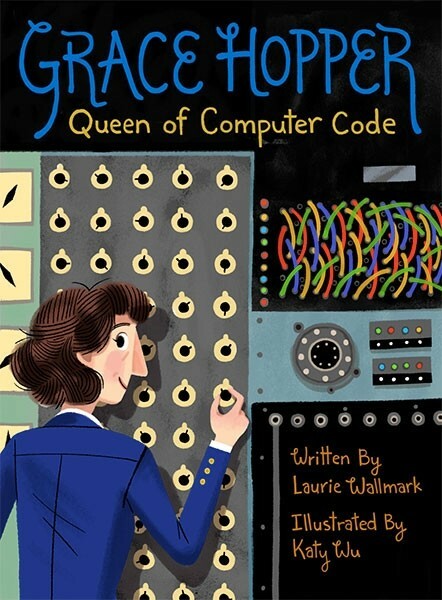 Acclaimed picture book author Laurie Wallmark (Ada Byron Lovelace and the Thinking Machine) once again tells the riveting story of a trailblazing woman. Grace Hopper coined the term "computer bug" and taught computers to "speak English." Throughout her life, Hopper succeeded in doing what no one had ever done before. Delighting in difficult ideas and in defying expectations, the insatiably curious Hopper truly was "Amazing Grace"...and a role model for science- and math-minded girls and boys. With a wealth of witty quotes, and richly detailed illustrations, this book brings Hopper's incredible accomplishments to life. For more books about trailblazing women of science and technology, visit our STEM book section.